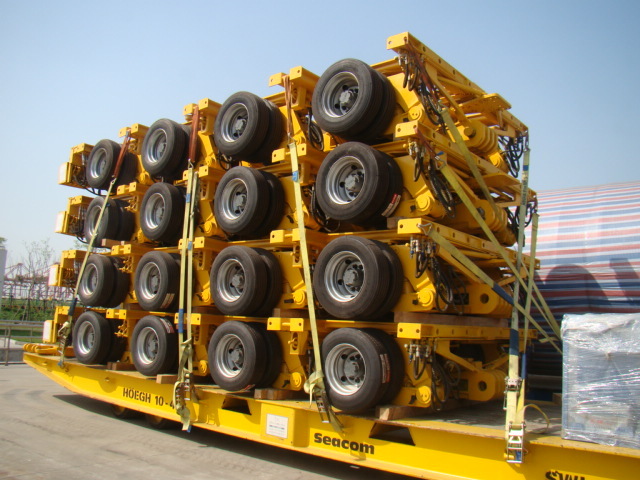 Our hydraulic multi axle trailer module for Mombasa Kenya, East Africa. Top photo is transport case in Mombasa. 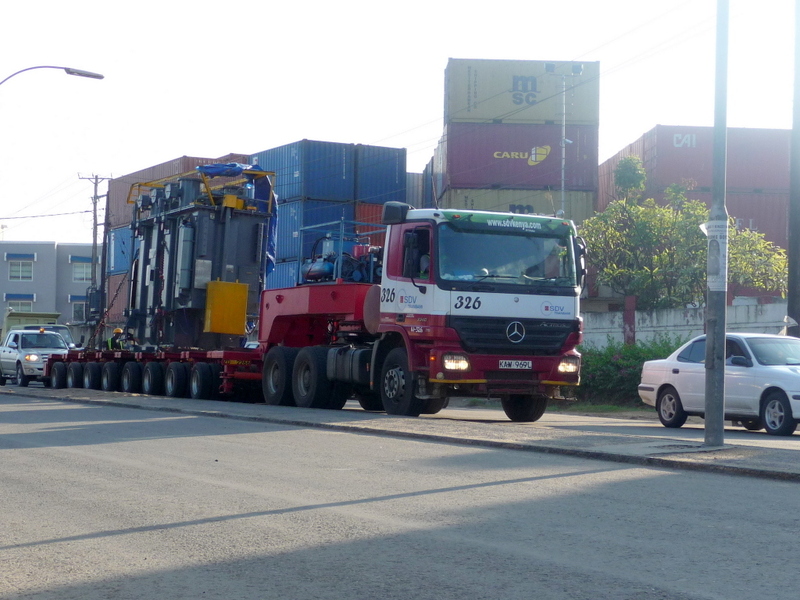 Second photo is four units of 4 axle-lines trailer loaded at Shanghai port ready for boarding.